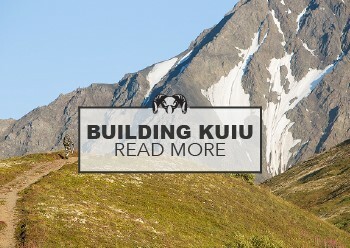 Home : KUIU Blog : Hunt Stories : Brendan Burns’ First Boar – Who needs 200″ Sheep or 400″ Elk? Brendan Burns’ First Boar – Who needs 200″ Sheep or 400″ Elk? Brendan Burns from Bozeman Montana, manager of the KUIU Guide and Outfitter Program, was visiting our world headquarters here in Dixon last week, and we decided to use the opportunity to head to Hillside Ranch here in California for a quick bowhunt for pigs. Brendan has shot huge sheep and elk but never a wild boar and I wanted him to realize what he was missing! Hillside Ranch is 4,000 acres, located about 2 hours north of San Francisco, 18 miles from the Pacific Ocean. It may have this highest density of free range hogs in the state! With the fantastic help of our guide, Bob Larson, Brendan was able to shoot a great boar on the 1st evening of the hunt. We captured his hunt on a short 12 minute video I thought you would enjoy watching. Nice Brendan! Cali Hogs are lots of fun and they taste great, yours should be a good eater! Congrats! So great to start seeing your guys’ hunts on film. Looking forward to seeing more in the future! What shirts are you and Brendan using? Also, I noticed you are using the new Ultra pack system, what pack does Brendan have on? Thanks guys.. it was a fun experience. Always fun to get out of your normal element try something new. Bob has a great operation and Jason is always a blast to hunt with no matter where we are at. Ill let you know how the hog tastes. He is hitting the smoker tomorrow! Colby-Jason and I are both wearing the Merino 145 SS crew T. They are awesome in hot weather. The pack I was using is the Icon 1850 with just the suspension ( no frame). Great little pack for day hunting. Thanks Brendan! I don’t know if Todd told you, but I’ve featured you on Red Rock Precision’s Instagram page a few times http://instagram.com/redrockprecision Keep letting us know about your successes with the Ultralight Sheep Rifle. Have a good one! Thanks again! Nice Boar, seems like a great way to fill in the off season here in Montana. Hurry back, Bear season is open ya know………..
Brendan, props bro! What a great hunt and kudos on the boar! You two were hunting in some beautiful country and my jealously is beyond words! Jason, this is what I am talking about mane! This video A) was an awesome hunt and B) gave valuable insight to products, company, etc. You’d be a great host for a show (I know thats not what your in to, but you psyche for the hunt was cool) but your interaction with Brendan made all of us watching we worked for you! I was able to get a good sense of the Ultra 1800 in action and the video has given me enough perspective to see that it will fit my needs perfectly! Thanks for filming the hunt and again, props to Brendan! Please do this again! Nice boar! Congratulations Brendan! I’ve got to book a hunt with Hillside.